Everything above tells you how to summit a theme to HitSkin. Ya but on mine it dont hw attach a screen sho it just shows the forum name an dpassword. The submitted skin is in majority composed of images from another skin. Please provide original skins. ware do you create them. 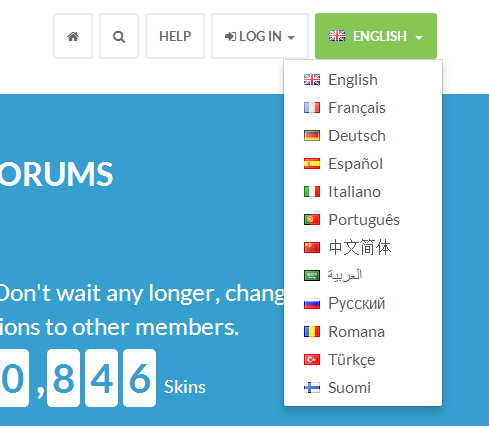 on your forum? So OK if i create one from one of my forums what happens if i submit one then decide to change it or create another one. is the skin i submitted first going to stay that way so i can make another one? 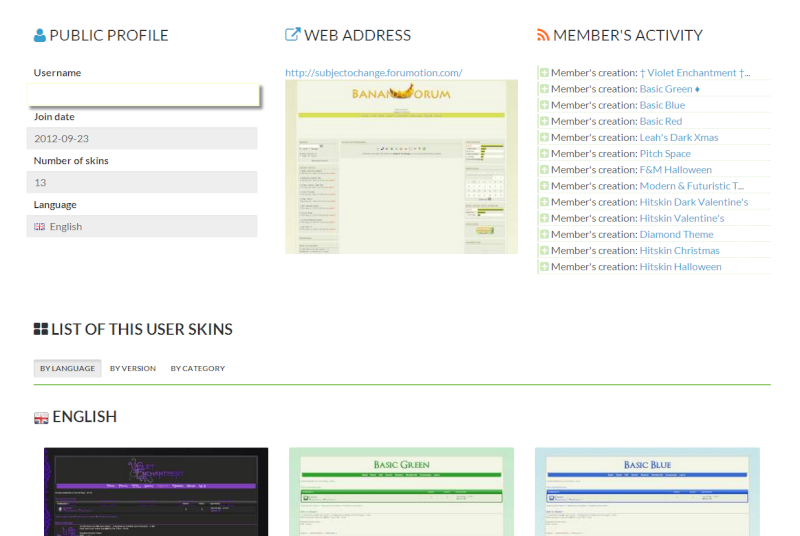 Yes, you basically start with the simplest skin, ie. the version's default and then you modify it. So OK if i create one from one of my forums what happens if i submit one then decide to change it or create another one. Thats why you see many v1, v1.1 etc. You will have to resubmit it if you need to edit it. is the skin i submitted first going to stay that way so i can make another one? Sort of doesn't make sense. But, I'll work out that: if you submit it, it will stay as it is. Then you can go and use it, then re-edit it then resubmit it again. Hope that clear things up. In those 5 things, five! ... oke 4... but... THATS NOT IMPORTANT! 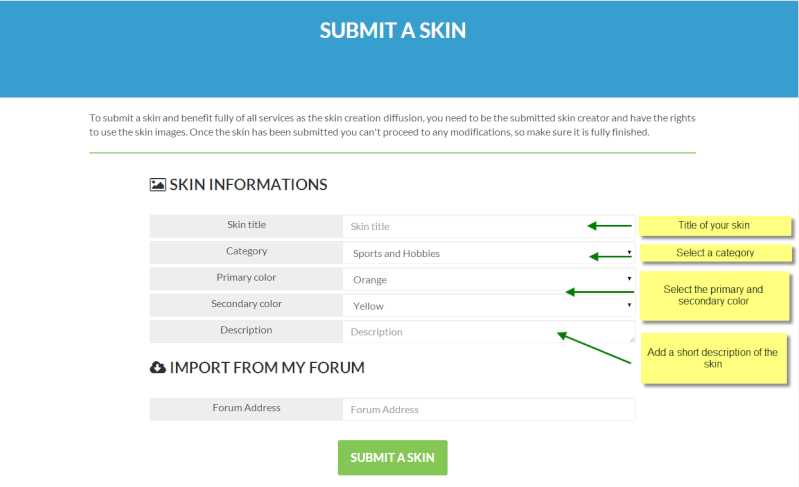 You didn't tell me how to create skin!!!!! Will someone tell me or I have to start insulting? HOW - CAN - I - CREATE - A - SKIN!? @Boris Solev wrote: Will someone tell me or I have to start insulting? HOW - CAN - I - CREATE - A - SKIN!? Will you calm down or do I have to start banning? This thread is in no way related to creating a skin itself, just submitting one. IS IT SOO HARD TO JUST TELL ME HOW TO CREATE, INSTEAD OF TYPING 10000 SENTENCES YOU COULD JUST TELL ME! Member reminded for posting in all capital letters. i think itll help alot! but how we make a skin? This is a helpful guide.